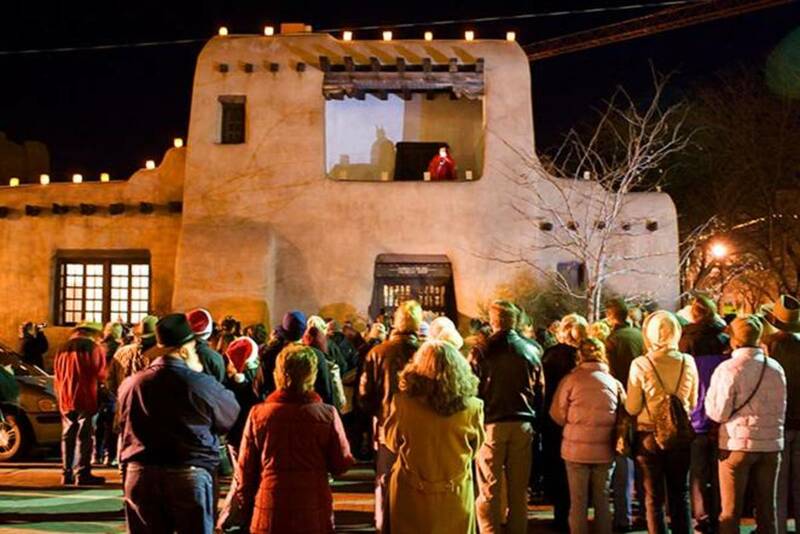 You don't have to pay an arm and a leg to beautify your home for Christmas. I've rounded up 18 fabulous and budget-friendly decoration ideas that are both tasteful and inexpensive. Some are traditional, some are bold, and some are more unique (at least I think so). No matter what you choose to do, any of these ideas can help make your home look gorgeous without spending a lot of money. You probably have a lot of the supplies you need around your home. I hope you enjoy perusing these affordable Christmas decorating ideas and finding something that works for your home and taste. An impressive living room decoration is a festive mantle arrangement. 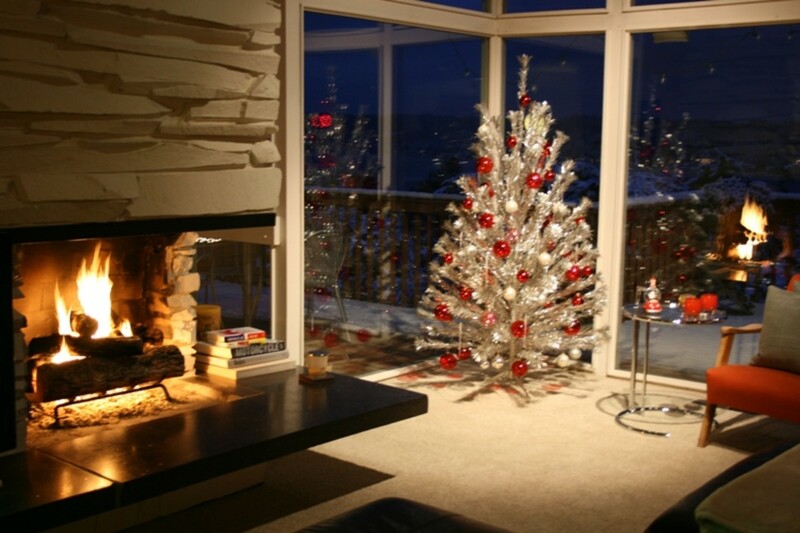 I adore the large mirror with the snowflakes scattered around it accompanied by the icicles twinkling below the mantle. I think the snowflakes are made of foam and would look lovely if you added some glitter to them. Hobby Lobby has large letters for a dollar a piece. They're flatter than the ones in the lifestyle photo, but I think they'd work well. This would be a very easy project to do and wouldn't drain your wallet! 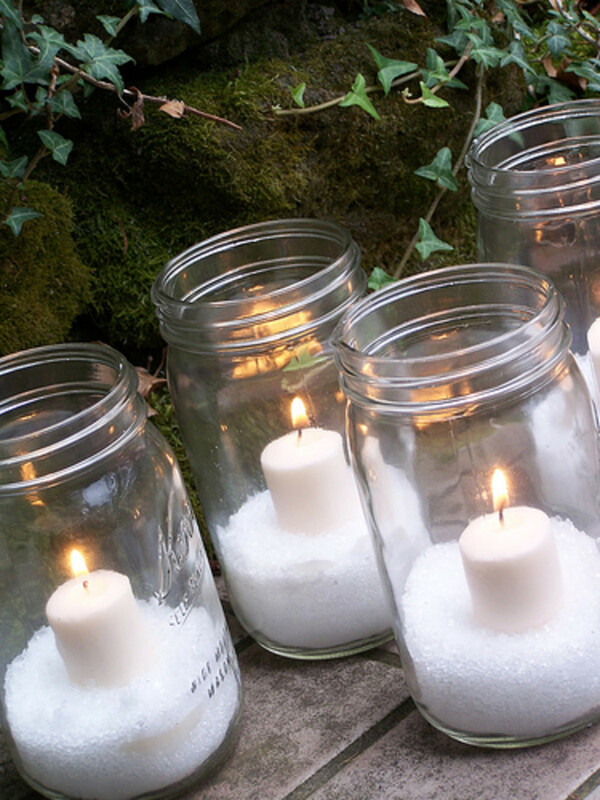 The Inspired Room came up with this snowy candle jar. I can picture having them placed on a mantle or a bar, glowing with warmth and cheer in the dark. I believe she used a mixture of Epsom salt and glitter for the snow. I tell ya, for something so simple, these sure are beautiful! I am so impressed with these DIY Christmas tree decorations from The Exchange. It's amazing how cheap they are to make. Do you have some poster board and fabric laying around? That's pretty much all you need to make these trees. You won't be disappointed because these beautiful tabletop trees are super easy to make and affordable to boot! I love, love, love these hanging icicles made by Apartment Therapy! You can make them in any colors and prints you'd like with leftover wrapping paper, cardstock paper, glue, and fishing line. Just cut circles from both papers and glue one cardstock circle to a wrapping paper circle. Join them together with fishing line and tape to enjoy for years to come. These would be so festive for a Christmas party! 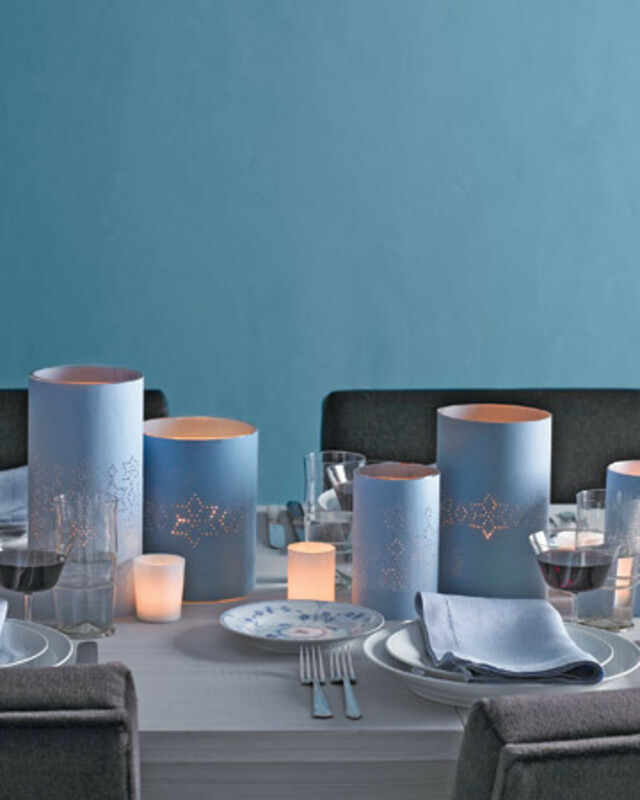 These are just a few gorgeous ways to dress up a simple candle. I love how simple these pieces are to create. You can use peppermint or cinnamon sticks to glue around a jar or candle for a festive touch. I especially love the nature-inspired candles on the bottom left. 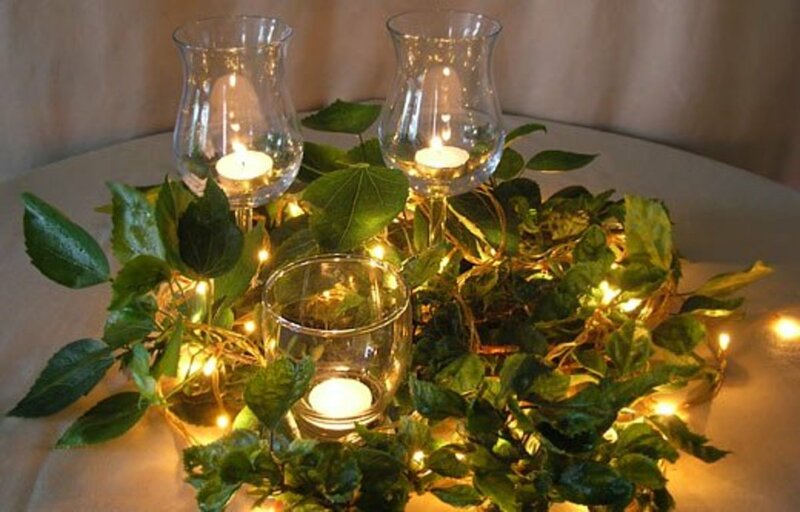 Just pick some greenery from bushes outside, arrange them in the container, and add a candle! I'd recommend using an electric candle with this one to make sure a fire doesn't spread to the branches. 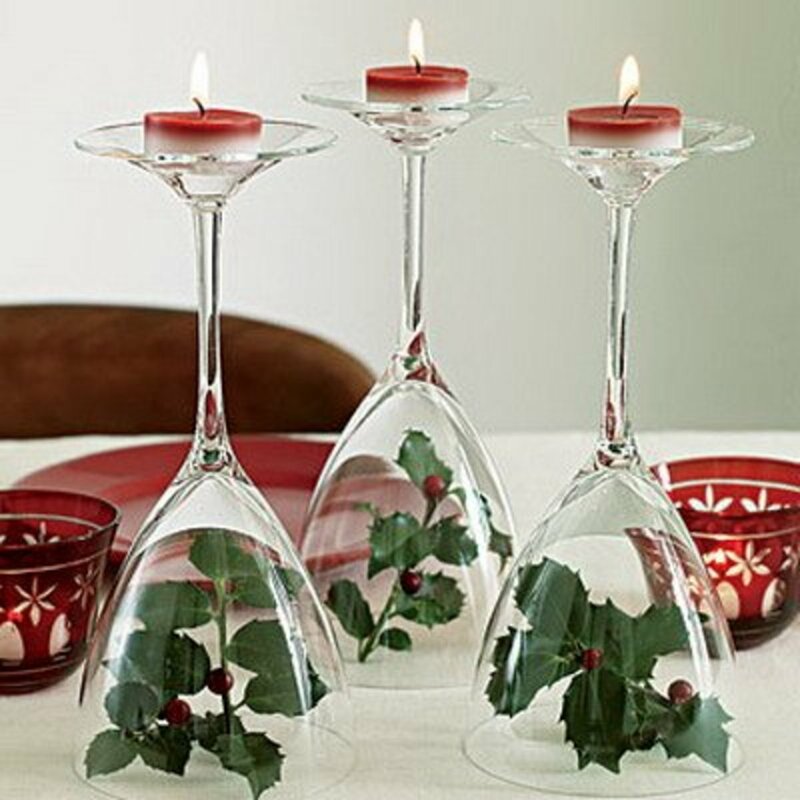 How creative are these upside-down wine glasses used as candle holders over at Interior Designing Blog! Talk about a simple DIY that is so incredibly pretty! The minute I saw this, I automatically thought of going to thrift stores and buying different types of glasses to create a unique candle grouping for just a few bucks. I love the leaves on display in the arrangement too! Martha Stewart has some of the best Christmas decorating ideas! These star-punched paper hurricanes are made by punching a design into decorative paper and wrapping it around a hurricane vase. Hurricane vases are inexpensive and can be found at thrift stores for cheap. I love this idea because you can use different prints and colors to mix and match your arrangement. You can find a template she provides for the hole punching, but you could very well make your own template and punch out whatever shapes you want. 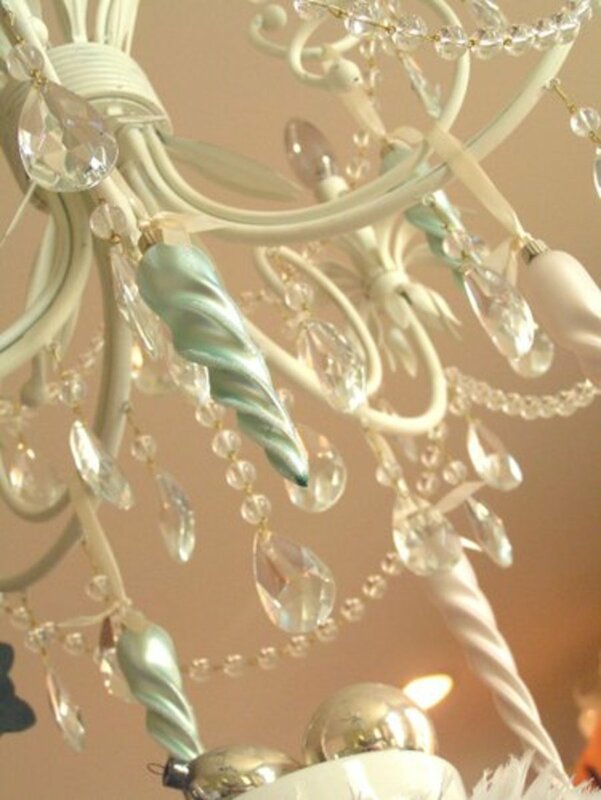 Nothing is more beautiful than a chandelier adorned with beautiful, festive ornaments, don't you agree? Unfortunately, I don't have any chandeliers in my home. If you do, you should definitely try this project by Everyday Beauty. You can decorate the statement hanging with whatever colors you like and enjoy the bright sparkles as you sit at your dinner table. I think I'll hang a faux chandelier in my apartment. It would certainly be worth it! I found many ideas to decorate with branches at Inspire Bohemia. This project is simple to make and easy on the wallet. 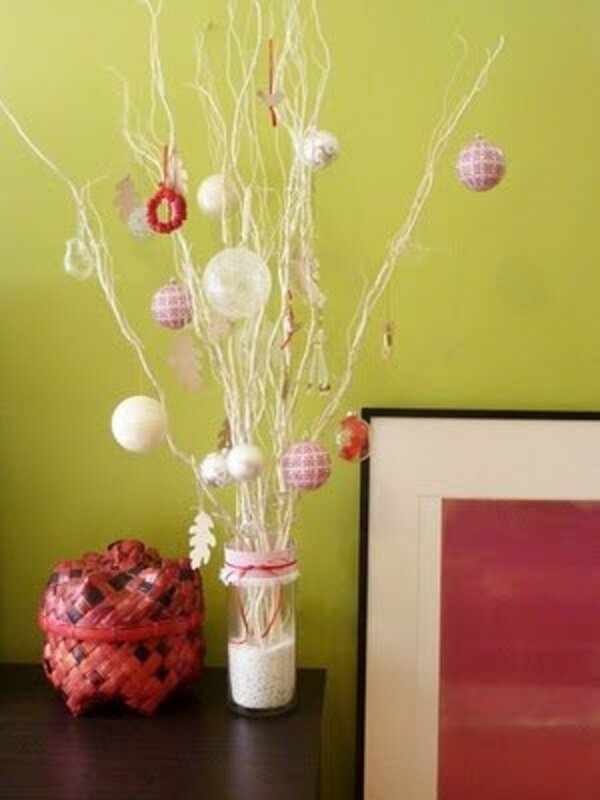 If you have white spray paint, ornaments, and a sort of vase to anchor everything in, you are good to go! If you don't have the spray paint, feel free to leave the branch natural. I've never really given much thought to using actual branches in my home décor, but this DIY made me realize they can make some stunning Christmas décor. 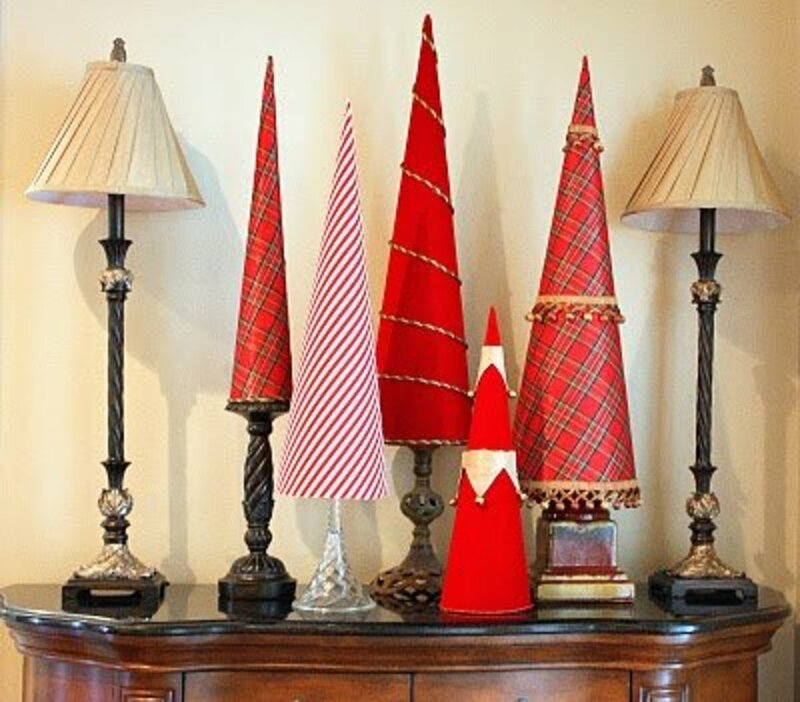 Beyond Drapery shares this unique idea that only requires a few ornaments, glass candlestick holders, and glitter glue! I think it's a neat idea to use round glass ornaments to spell a Christmas word. Glitter glue or something similar would be perfect for writing the letters. You could switch up the colors to fit your design scheme, and there are a lot of possibilities with this one for sure. 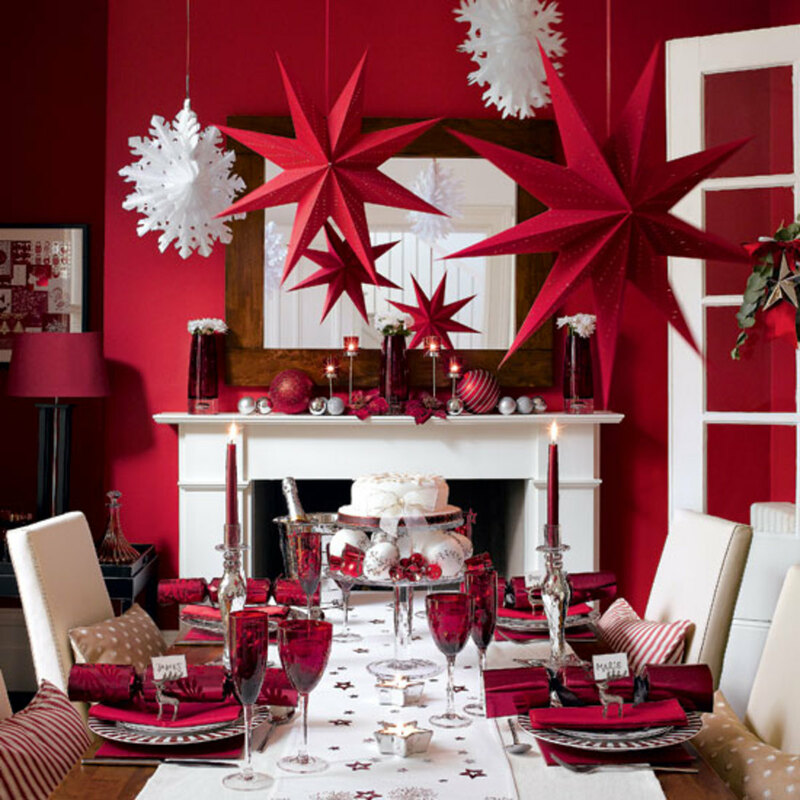 Digs Digs has a lot of fun Christmas décor ideas you can use! This one is especially gorgeous. 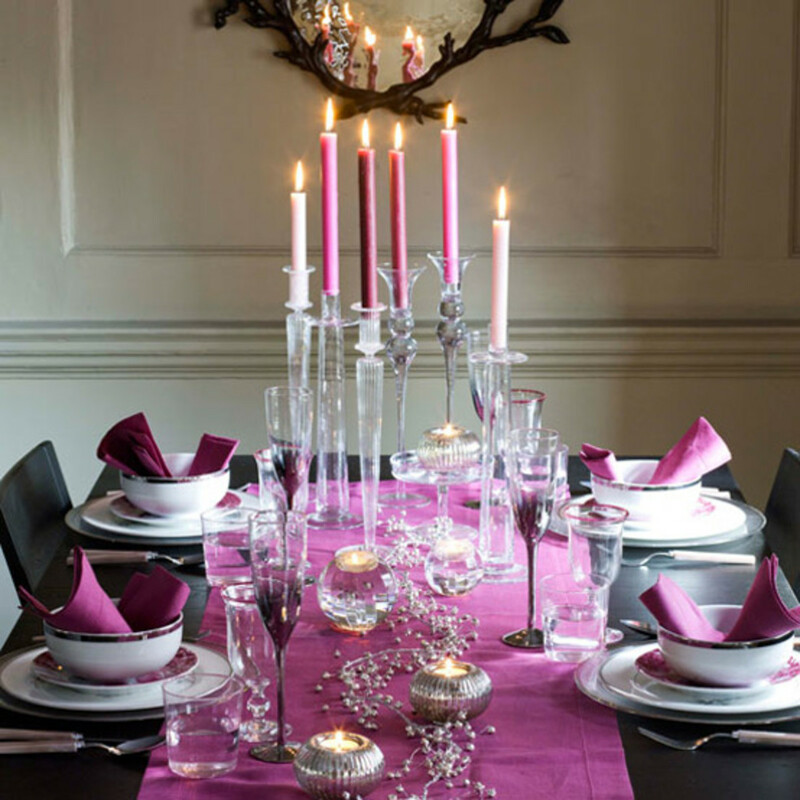 I love all of the different shades of pink candlesticks that make up this centerpiece. The glass candlestick holders elevate the look, and the entire project is easy to make but yields a breathtaking result. Wandering Mist has the instructions to make this simple, yet stunning candle centerpiece. The greenery is real, and the natural look is lovely. Candlelight and greenery make a perfect combination of Christmas décor. You could dress it up with some poinsettias or something like that to add another natural pop of color. 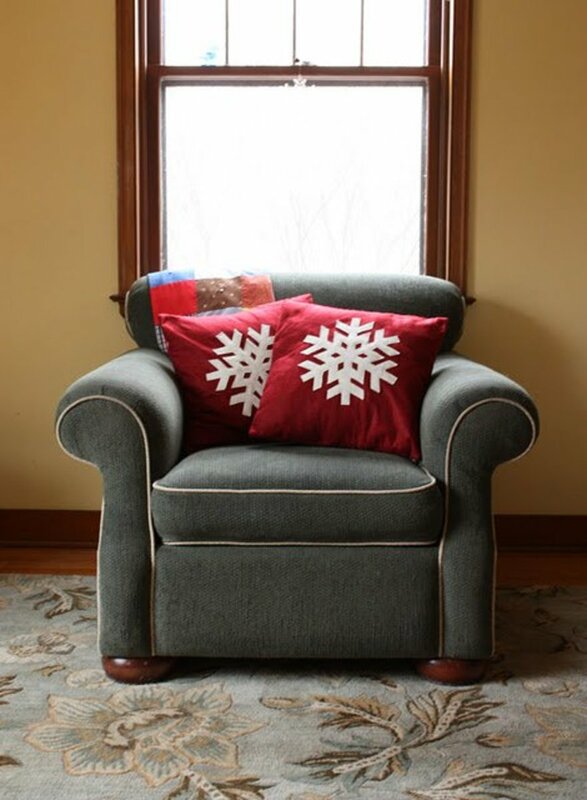 Throw pillows can add a festive touch to help you get you into the holiday spirit. I found a tutorial for felt snowflake throw pillows at Noodlehead. I absolutely adore snowflakes, and this tutorial looks pretty simple. If you don't have a sewing machine, you can stitch the fabric by hand or use fabric glue. I recommend stitching the seams by hand and gluing the snowflake on. It's fairly easy to do and adds a homey element to the room. 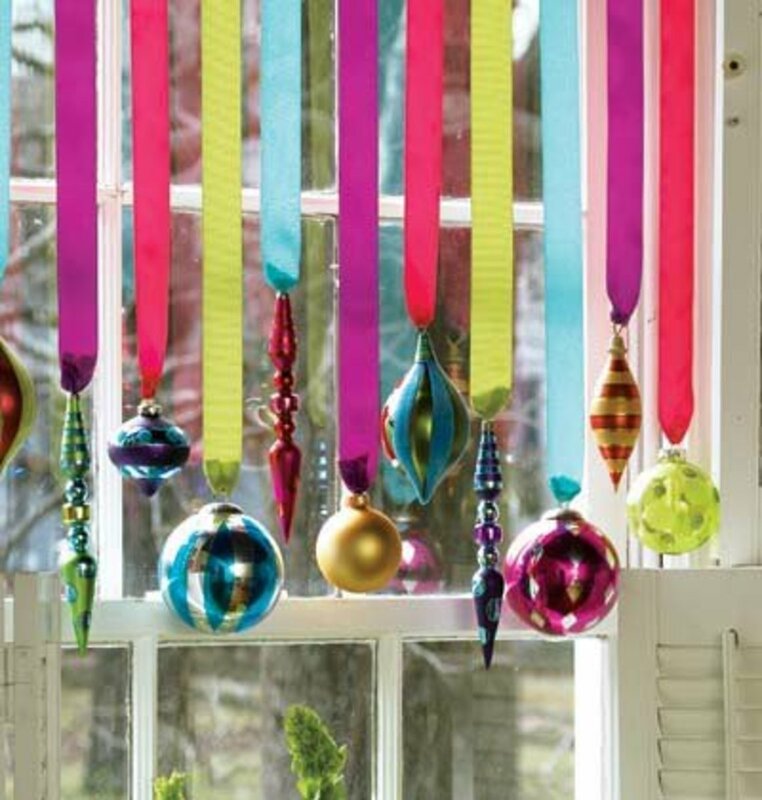 This colorful ornament "curtain" is a bit colorful for my taste, but it's very pretty and creative. I would personally use silver and gold ornaments and hang them with a thinner organza ribbon that is tied into a bow where it meets the ornament. You can easily change this to suit your own taste. Using floating stars is such a bold way to decorate and I love it! I would cut big snowflake shapes out of cardboard, paint them white, and maybe add a little glitter. For the big stars, I would use the star lantern template I found at Homemade Gifts Made Easy! You can hang the paper stars without adding lights to make it easy, or you can string lights through them to add a glow. All of these pieces would be hung with fishing string to give the illusion that they're just floating in the air. At Georgia Peachez, I found this low-effort, high-impact idea that will blow your mind! Just take the medium to large sized artwork or picture frames hanging on your walls and wrap them up like presents. Make sure to add a fun bow and hang them back on your wall. Can you believe it? There are Christmas gifts hanging on your walls! How easy is that? It's a fun, bold way to decorate for Christmas. 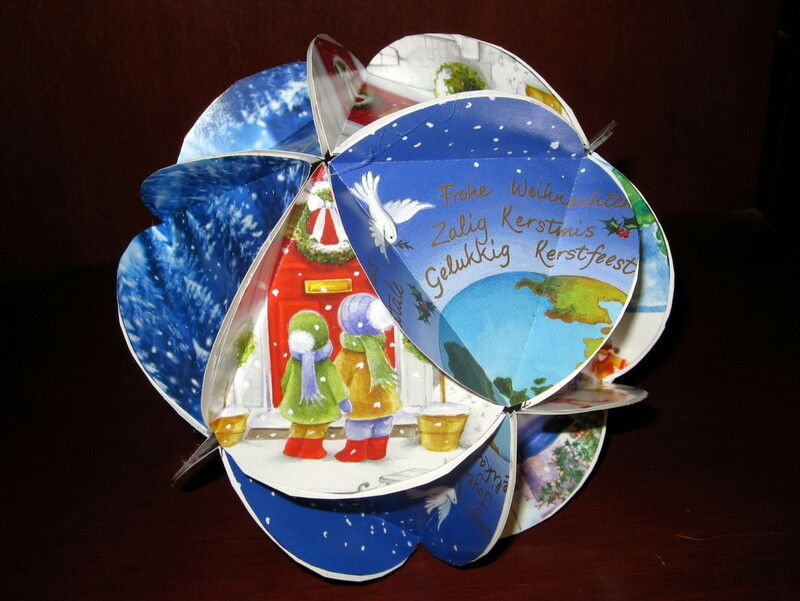 This is a pretty Christmas card holder made by Fern Creek Cottage. 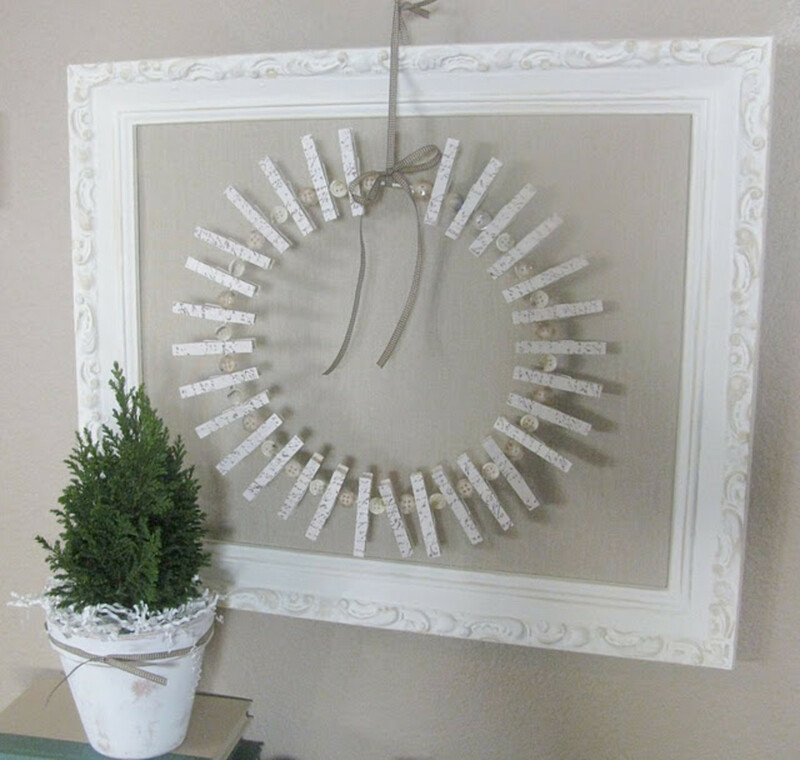 She used muted clothespin colors so the wreath could be used all year round. If you want it to look more holiday specific, you could paint them your favorite Christmas colors. Displaying the Christmas cards your loved ones sent you is always a nice touch. I found this beautiful candle holder idea at Beauty and Bedlam. You basically put some Christmas ornaments, garlands, and candles in a bowl. It's so pretty and easy to make, but I would just make sure to have the candles anchored down well before tucking the balls and garland around them. You'll need to keep an eye on it so the candles don't burn down too far. This would be a lovely centerpiece for the table to light while having dinner. Don't you think? 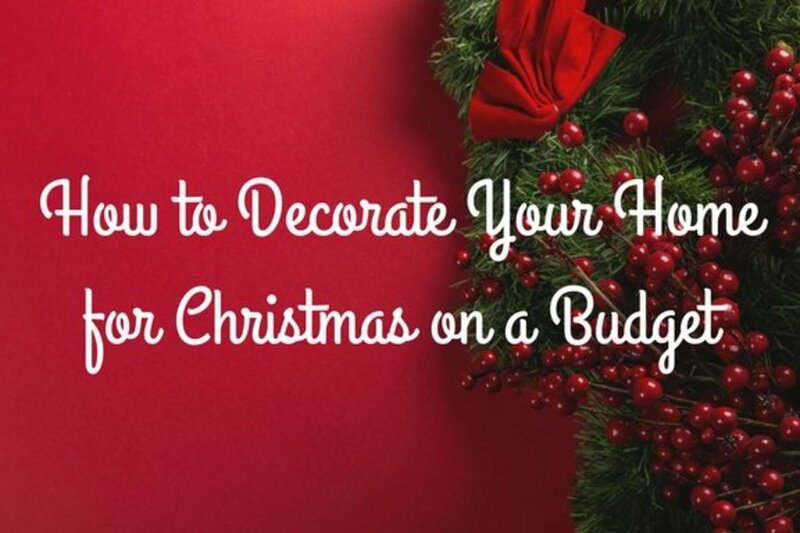 I hope you have found these ideas useful in your efforts to save money while decorating for the holidays. Merry Christmas! These are all really fun! I especially love the throw pillows and the candy canes around the candles, and I'd like to try wrapping up a frame and hanging it on the wall like that. Thanks for all the creative ways to decorate! I have always loved Christmas and have wanted to fill up my house with Christmas stuff but every year I try and fail I look around and it looks like I barely did anything. Thank you so much for the article, I really think this will help me. Wow, being away from home and having given away all my Christmas decorations, I am happy to use some of these ideas to give our winter place some Christmas spirit. velzipmur- Glad you enjoyed this hub! Thank you for dropping by! Thanks for sharing this, I loved the ideas you provided and it gave me some ideas of my own. Hendrika- Glad you found this useful..thank you for dropping by! My wife is a designer so I was trying to come up with some ideas for her for once. You've given me a lot to think about! Dannie Rae- Thank you :) I'm so glad this hub has inspired you and that you are doing some projects! Have fun decorating and thanks so much for dropping by! 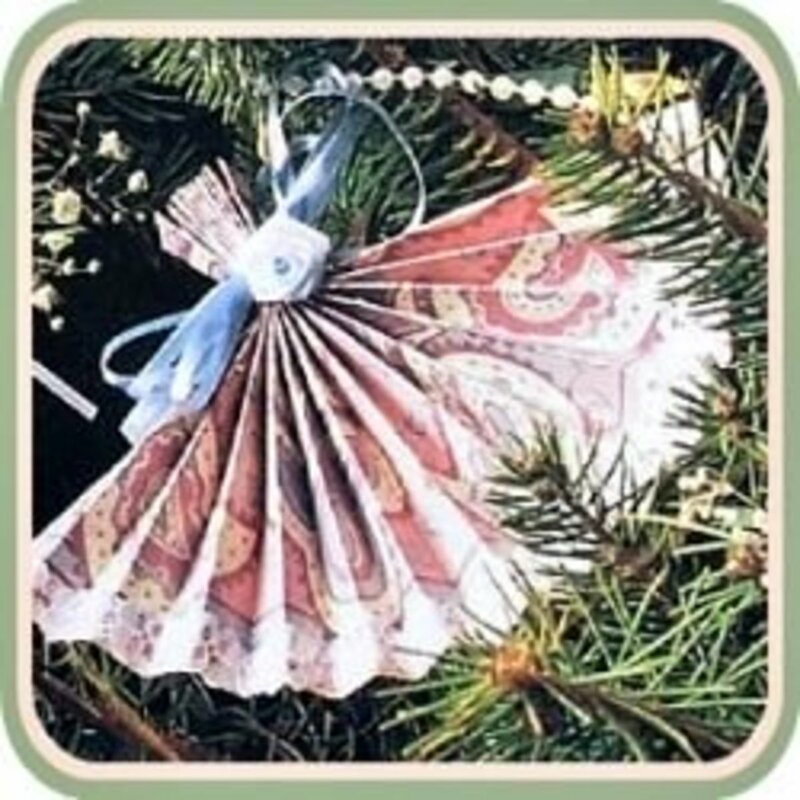 You have presented a lot of great useful ideas for making Christmas decorations on a budget. At the school where I work in Thailand I saw some of the Philippine instructors making ornaments out of empty washed cans of Pepsi and Coke. Bells were made from styrofoam coffee cups and decorated with paper. Voted up as very useful and sharing with followers. These are such wonderful ideas. Thank you for making decorating for Christmas a little bit easier. I am already in the process of buying some materials online for a couple projects. tebo- You are welcome.. so glad you enjoyed the hub :) The upside down glasses were one of my faves too. I hope you have lots of fun decorating your home for Christmas this year! There are so many lovely christmas decorating ideas in your lovely hub. 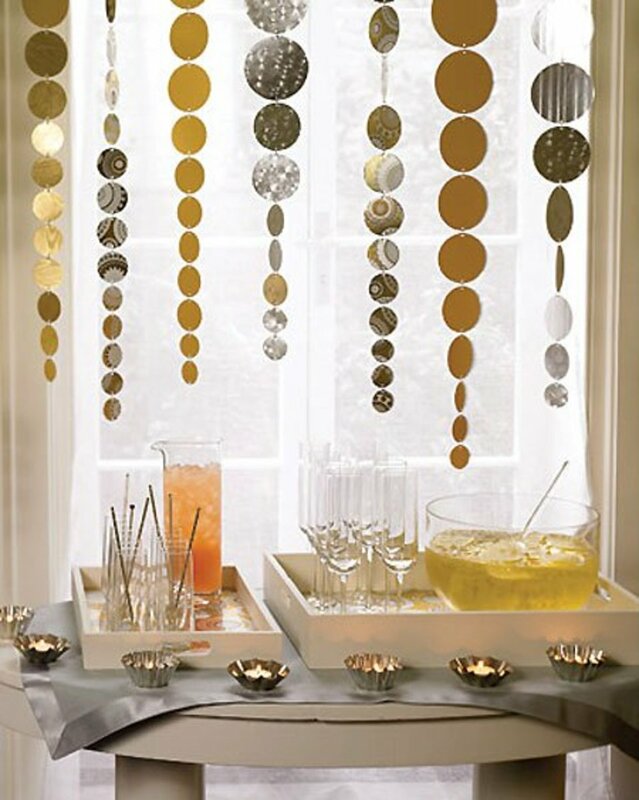 I like the upside down wine glass candle holders - great and I do like the curtain made from decorations on ribbon. Thanks for so many suggestions to brighten up Christmas. This is one of the most eye pleasing décor hubs I have ever scene. I LOVE glass and light. I love the Wandering Mist and the upside down wine glasses. This hub is full of wonderful ideas. Sharing and pinning. Better Yourself- You are welcome :O) The mason jars are one of my favorites... they are so easy yet they yield such a stunning result. Thanks for dropping by, glad you enjoyed the hub! Bobbi L Johnson- Thank you :) I'm glad you enjoyed the hub.. hope you have lots of fun creating some pretty Christmas decorations for your home! So many great ideas here. Love the holly under the glasses with the t-lights on top or should I say bottom of the glass. Anyway, very fun and festive idea. 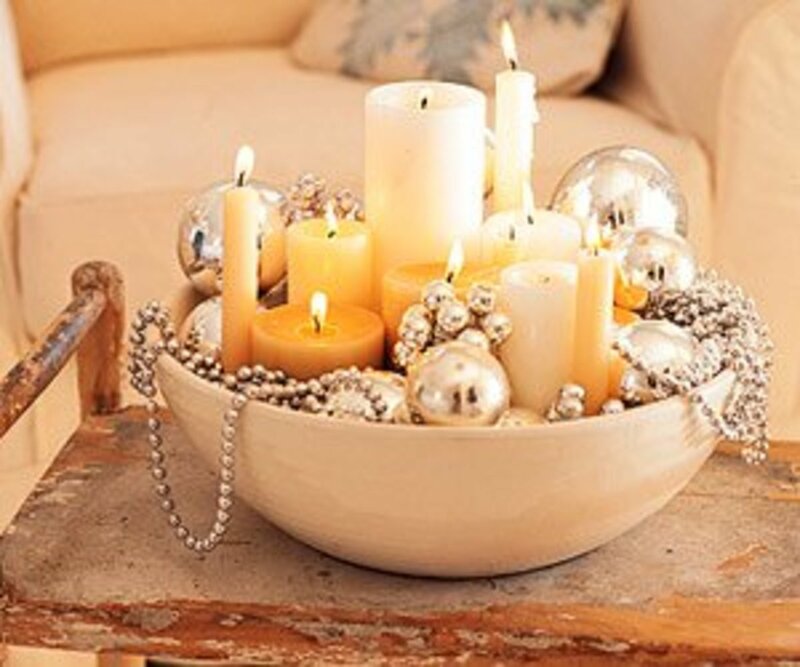 The white bowl with candles and beads is a simple and beautiful idea too. Voted UP and useful! Great ideas! I especially love the mason jars with candles and the red and white décor! All of these ideas would be easy to recreate. Thanks for sharing! Great job! These are stunning ideas and I'm really in the mood to be creative, especially with Christmas around the corner. It's great that I know these sites exist for future reference. Great ideas! 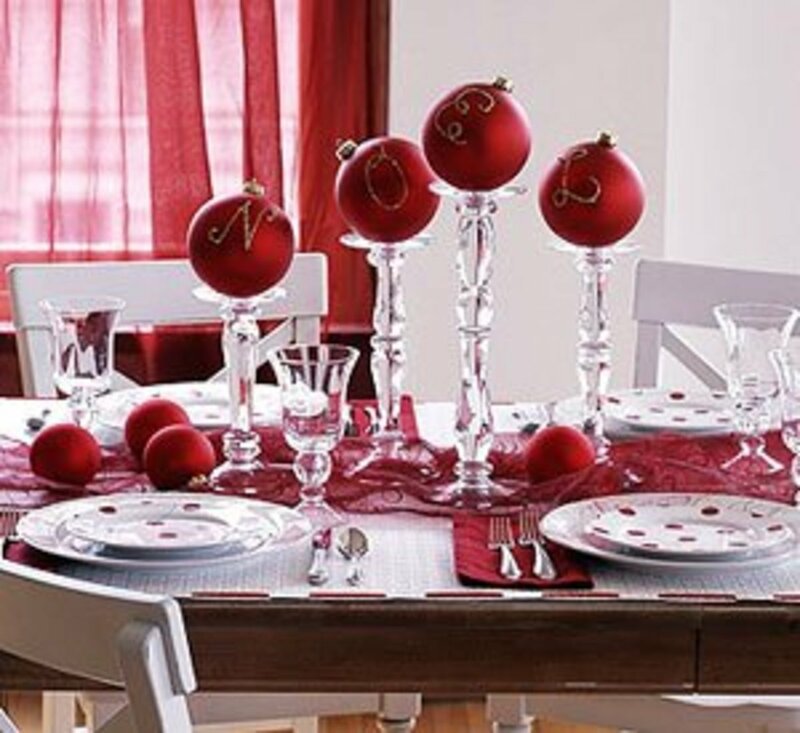 I really like the glass candlestick holders with ornaments on top. faythef- You are welcome :) I would love to do that clothes pin wreath too... It looks really easy and it's perfect to hold all the Christmas cards. Thank you so much for dropping by! KerryAnita- I love decorating for Christmas too.. it's so much fun! Thank you for dropping by.... so glad this hub has inspired you! Miss Mimi- Thank you so much... I'm glad you enjoyed the hub! I'm always looking for ways to save $... especially around the holidays :) Thank you for the votes up and for sharing this too! 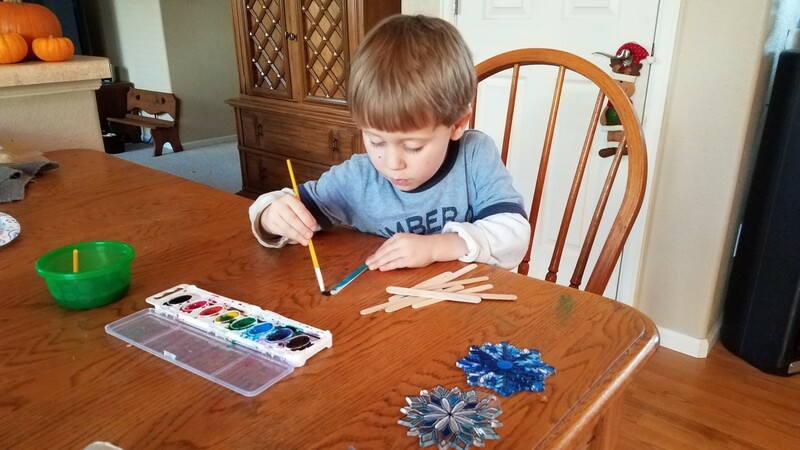 So many great ideas..I am sure to incorporate some of them in my decorating this year..I think I will start with the clothes pin..card hanging idea....thank you. Great Ideas! 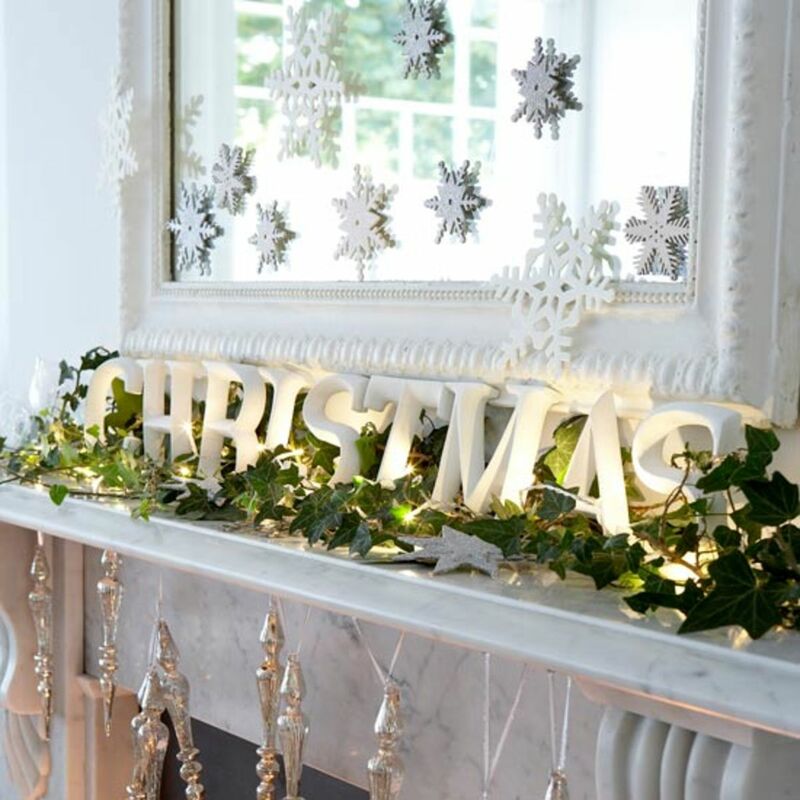 I LOVE decorating for christmas, so will definitely have to give some of these a try! This are great ideas, I love how easy and customizable these all look. Really wonderful hub, with great photos. Voted up and shared! Merry Christmas from my home to yours. As I begin to start on each room of my home and new life the excitement of decorating each one to a fashion I have never done before and I have been on the web for great new ideas. Your article gave me some ideas. I this year am doing my home in an ole Christmas theme with a lot of nature from the outdoors. Its been fun gathering up what God gives us to use and design into something special. I am looking so forward to a long month of enjoying the décor with family, friends and love ones in my life. Esther Strong- Thank you for dropping by and for commenting. I love those upside down glasses too. I thought it was unique as I had never seen anything like that before. The presents on the walls is such a genius idea I thought.. It's something simple you can do with things you already have and it really makes such nice decoration for the holidays. I'm so glad the hub inspired you.. take care! khmohsin- Thank you for commenting, I'm glad that you enjoyed all the images. There are so many creative things we can do.. I always hope my hubs will inspire people. Thank you so much for the like and for the vote up! you elaborated your topic with creative images. I am too much impressed with these ideas as i am keen interested in decorating my house, but you explained the topic with budget. A huge thanks for sharing your creativity to us. My favourites are the upsidedown glasses with leaves in topped with candles. Beautiful. Presents on the walls - how unique. All these ideas are fantastic. I especially like the candle in the jars with the Epsom salts. Great ideas. Your right it never has to be expensive to deocrate for Christmas. I always hang Christmas ornaments from my chandeliers. It think they look so pretty on them. Vote up and shared. These are great suggestions. I particularly love the upside down wine glasses. I might have to recreate it for a Christmas gift or for my own purposes! And I bet with some of those flameless candles and you could really have something to treasure year after year! Great hub - and it isn't too soon for Christmas! Au fait- Hi, thank you for the wonderful comment! I totally agree with you, I think it's a smart idea to make gifts and decorations through the year and put them in storage, it helps to cut down on stress of shopping and to actually be able to enjoy Christmastime. So often, I am way too stressed out and really do not even get to enjoy the holiday, usually because of worrying about money and buying gifts. It would be nice to finally be able to go through a Christmas and enjoy it instead of it being the most stressful time of the year. Thank you for the votes and for sharing, I really appreciate it! 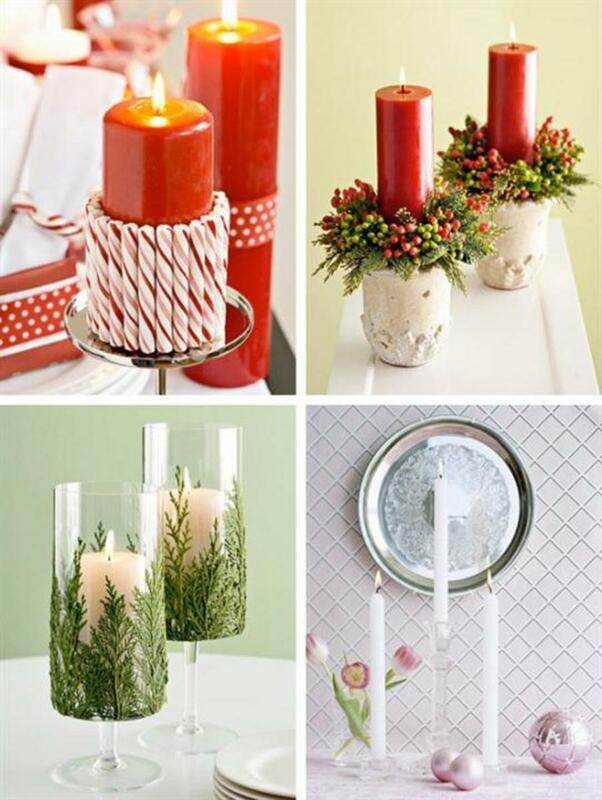 You have so many inexpensive and pretty ideas here and Christmas will be here before you know it. Wise if you are doing a handmade Christmas to get started early so you will have more time to enjoy the holidays instead so much rushing. Make decorations and put in storage for a couple of months, and if there are a lot of gifts to make, the sooner your started the more likely you'll be better organized and have time to enjoy the festivities. Fabulous ideas and fantastic hub as always! Voting you up and awesome as always too, and will share! GmaGoldie: Glad you liked these! 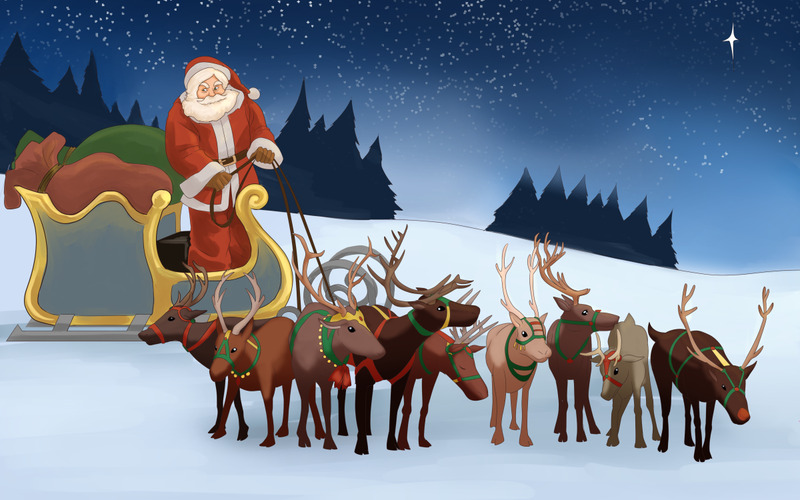 It sounds like you are in the holiday spirit:) Merry Christmas to you and yours! Very inventive. Fun hub! Thank you! Off to put more decorations on my tree. Great. The upside-down glasses for tea lights are genius. Thanks. Miss Paula: Thank you SO much for your comment and for stopping by! Best Wishes and Happy Holidays to you, too! These are all so beautiful, my favorite one is the wine glass turned up side down as tea light holders. so many different ideas they're great Happy Holidays and GOD BLESS!!! thewahm: Thanks for reading.. I love them too. Such a cool idea. Oh I love the idea of using wine glasses as tea light holders. You are a Hubpage gift, Jamie! This is brilliant. The upside down glasses with tea candles is one of my favorites. 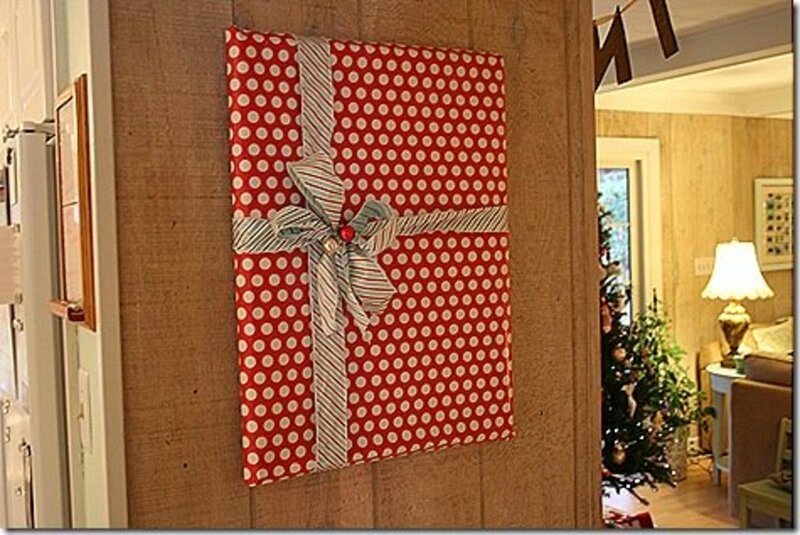 And wrapping wall pictures as gifts - love it! I voted this hub across the board. Bookmarking it too. A huge thanks! This was so beautiful. You come up with wonderful ideas. I believe that this décor will make Christmas more colorful. Thanks for share with us. Rated up!